Midgley was 39 years old in 1904, a trained artist working as a science teacher. He was born in Birmingham, and moved to Sutton from Moseley in the 1890s, settling close to Sutton Park in Richmond Road with his wife, daughter and mother. He had an eye for natural beauty. Not much of Midgley’s view can be seen today owing to the growth of large stands of trees, but if they were all cleared away his prophesy of housing development beyond Powel’s Pool would be seen to have come true. However, development was slow. Already in 1904 Princess Alice Orphanage stood on the opposite hill, formed in 1882 thanks to a gift from Mr. Solomon Jevons. It consisted of a series of houses, each accommodating 25 orphans, the houses donated by wealthy patrons - in 1900 there were four houses with 108 children. A house cost £1,000, and eight were eventually built, two of them in 1909 with a legacy from Dr. Wand, a successful Birmingham boot manufacturer who had heard the orphanage choir when on holiday in Llandudno. Princess Alice Children’s home remained the most prominent building in Midgley’s “great Sweep” for many years, apart from ribbon development along Chester Road North at New Oscott, Development began in earnest in the 1930s - building began on the Banners Gate estate in 1934, and In 1937 Sutton Corporation built a new road, Monmouth Drive, partly to create work for unemployed men. The terms of the agreement with the Somerville Estate and other owners was that land north of Monmouth Drive should revert to Sutton Park or be used for other recreational purposes, thus forming a green belt between the Park and the road. Much of the land between Monmouth Drive and Chester Road, belonged to the Princess Alice Home, and remained as farmland until 1967 when Parklands Housing Estate was built, including New Oscott School in Markham Road. The sale of land enabled the home to consolidate its buildings on one site - some of its facilities had been on the opposite side of Chester Road North - and it continued to flourish for another twenty years. Then in 1998 came the construction of the Princess Alice Retail Park on the site of the old orphanage. Although most of Midgley’s view is now obscured by trees, it is still possible to appreciate the undulating vista towards Barr Beacon, most of the buildings being hidden by trees, but there is no hiding the electricity pylons which disfigure the beacon itself. 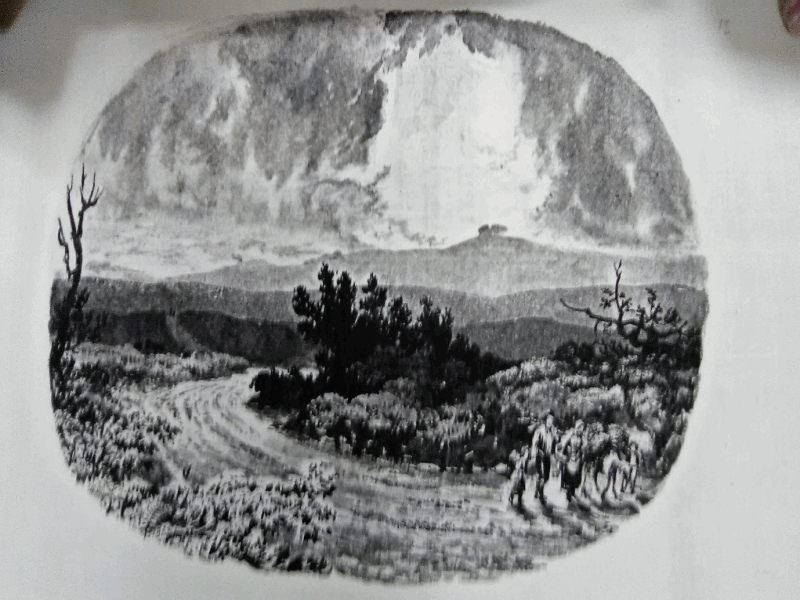 This view of Barr Beacon from Sutton Park by Miss Bracken, c.1860, is similar to Midgley’s favourite view.